Welcome to the 3rd lesson in this course. In this lesson we are going to explore the minor 25, and how to use our chosen melody over 25s in the song "There Will Never Be Another You" as well as any minor 25 progression. Again it’s important that you can play all 12 minor 251 progressions. If you do not know these progressions, you will not be able to get the most out of the teachings in this course. Let’s Take A Look Into The Minor 25. We know that every major key has a relative minor key which contains the exact same notes, but starts and ends and a different note. If we’re in the key of C-, that would mean that we are in the key of Eb major, as it is the relative major. As we mentioned earlier, all the modes are the same with just a different bass note, so let’s take a more careful look into the D–7 b5 chord. A Closer Inspection Of The Minor7b5 Chord. Be careful with the word "half diminished" because even if this chord has a relation to diminished (as pretty much everything has! ), it can be misleading. 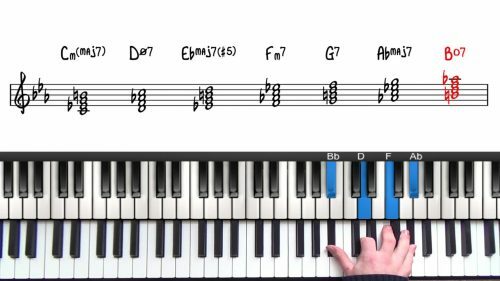 Of course, it’s not wrong to use the name, but in this lesson, we will explore in detail the construction of this chord type to simplify our approach to improvisation. 2 Ways To Use Our Chosen Melody! We now have 2 ways to use our chosen melody and we can apply it to both major and minor 251s. With this approach to improvisation, we can already get twice as much mileage from our transcribed melodies. 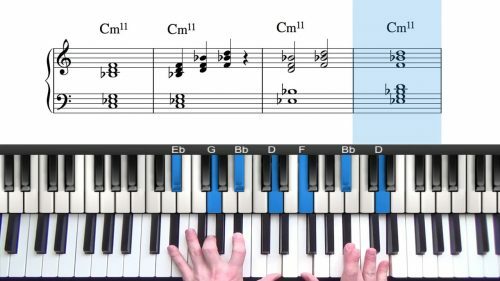 In lesson 2 of this course, we separated the major key from minor key, which actually is unnecessary as all these goals are exactly the same in both relative major and minor; The 1 in major becomes b3 in minor etc. Once you understand the theoretical application of this lesson, we are ready to take the next step and get more material out of our melodies. Ensure that you are comfortable with the 251s in all 12 minor keys. If you are not familiar with these progressions, check out the related lessons above and download the PDF lesson supplements if necessary. Play the melody over every minor 251 progression. Listen to how the exact same melody is perfectly suited to both major and minor 251 progressions. 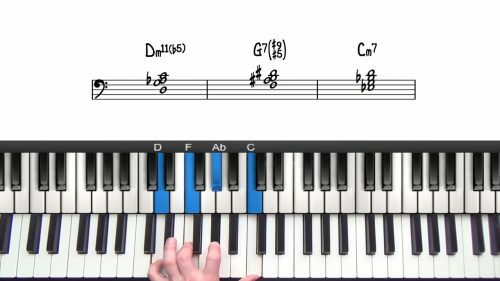 Following the examples in this lesson, find different ways to resolve the melody into the 1 Chord of the Minor 251. Apply this new material over the tune "There Will Never Be Another You" and play all of the major 251s as minor 251s for this exercise.